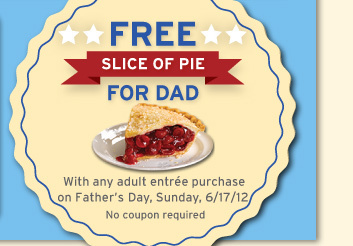 Treat DAD to... Burger, Fries & Pie! 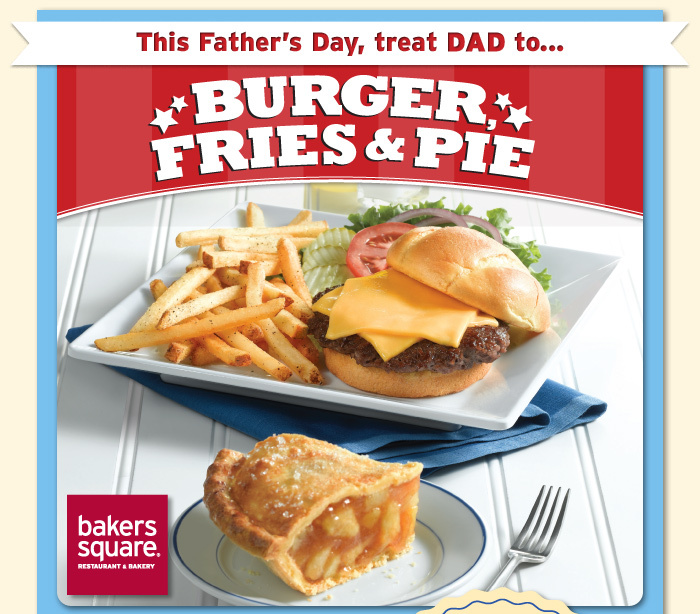 Treat DAD to... Burger, Fries & Pie!... View the online version of this message. This email was sent because you joined The Bakers Square eClub in one of our restaurants, online or at one of our events. Your email address will not be shared, sold or rented with anyone. To ensure delivery to your inbox (not bulk or junk folders), please add bakerssquare@bakerssquare.prm1.net to your address book. You can unsubscribe at any time from the Bakers Square eClub by updating your member subscription preferences. 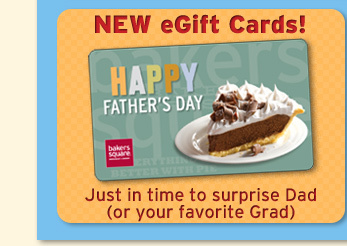 If this email was forwarded to you and you'd like to join the Bakers Square eClub, simply sign-up here! ©2012, American Blue Ribbon Holdings, LLC.